OnePlus Diwali Dash Offer-Spin the Wheel and Win Upto Rs 1500 Vouchers. 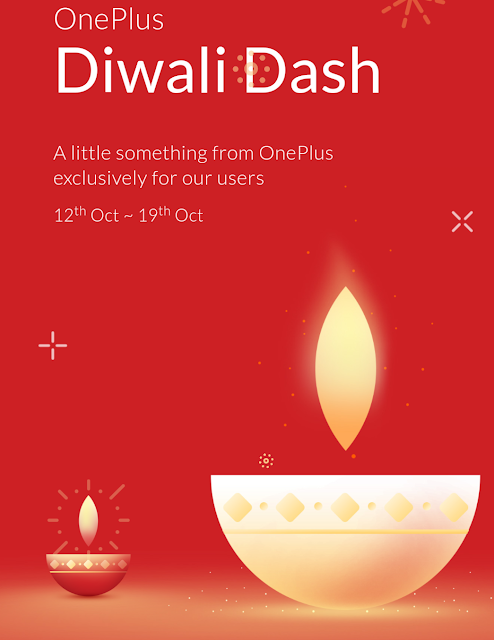 OnePlus is started his Diwali Dash Offer where user will get Rs 1500 and Rs 1000 Discount Vocuhers of OnePlus Device and Rs 500 Jabang Vouchers, Rs 500 Paytm flights Vouchers.Offers is Valid From 12th October 2017-19th October 2017 and Valid only for OnePlus Device users. 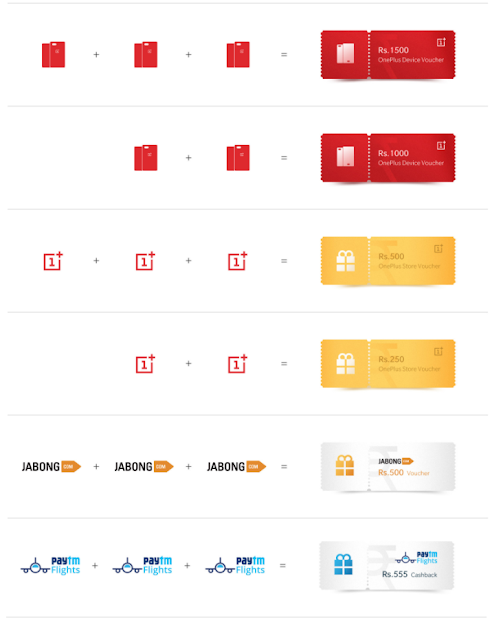 Create your account on oneplusstore.in . In case you have an existing account, you can use the same. If you have already verified all your devices, you can directly play the game. 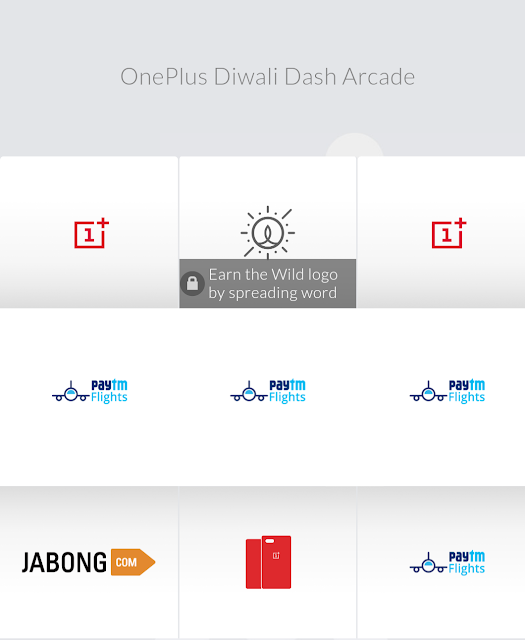 Earn a “Diwali Light” as wild logo in your Logo pool by sharing this with your friends on Social Media. Every “Diwali Light” will act as a logo in the slot machine thus allowing you an extra chance. When the fairy lights come out of the attic, you know it’s time. When the markets echo with the melodious cacophony of hawkers selling everything from crackers to diyas, you know it’s here. When the calories from the sweets don’t count, you know it’s something special. And when we shower you with games, offers and gifts, you know it’s Diwali. We’re back with the OnePlus Diwali Dash. Like last year, we’ve got some exciting games and even more amazing prizes up for grabs! Because, what’s Diwali without a little bit of games and lots of gifts? Exclusive only to the OnePlus community, there are guaranteed gifts with every spin. All you have to do is register your OnePlus device to get your free spin. You can also earn a Wild logo by spreading word through Social Media. Prize pool includes vouchers from OnePlus, PayTM and Jabong. 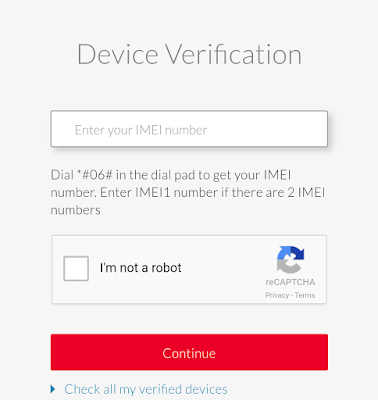 If you have more than one device, register them all to get more chances. Don’t forget to check the T&Cs of vouchers to ensure you use them before the validity expires. We are proud and happy to have one of the most enthusiastic and loving communities out there. And we want to make sure you have the happiest Diwali. So, join us from the 13th to the 19th of October as we celebrate the festival of lights and make it even more special with a pinch of happiness, a smidgen of love and a dash of OnePlus.